We frequently talk to managers who find it challenging to have direct reports who are older or more experienced than they are. We’re taught from a young age to “respect our elders,” which actually means to defer to them. With this kind of conditioning, it can feel awkward to be in a position of authority over these folks. I’m a young startup CEO, and both my Director of Operations and Production Manager are 20 years (+/-) older than me. I know this is not abnormal, however I will note that my Director of Ops is also an investor in the company so the dynamic can be challenging. I try to approach these relationships with the mindset that I am learning from them, while at the same time leading the company’s direction. What advice do you have on managing employees and partners who are older than you? First and most important, thanks for listening and thanks for giving us a chance to be helpful. Kim and I got in this business for that reason: to be helpful, so we’re excited when those opportunities present! Now let’s get into your question. When I was in the Marines, on day one I was managing a 40 person organization, which included one or two crusty, roughneck guys with a lot more experience than me. 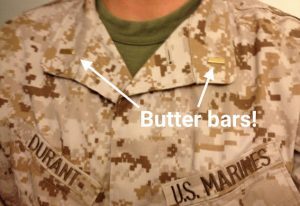 Worse, it’s traditional in the Marines for the enlisted guys to gently mock new lieutenants with wonderful nicknames like “butter bars” and “boot.” In fact, to this day, my Marines will once in awhile make a “boot” joke at my expense on Facebook. 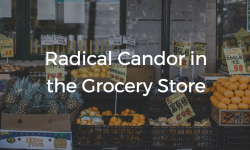 Of course, I love it — it’s now a term of endearment. Anyway, my point is that I have very direct experience with this. I am pretty sure there have been other stops in my career in which I have had to manage people older than me, but I’m not sure, and that’s really my first piece of advice: You have to let the age or experience difference go. Ignore it. Pretend it’s not there. The more this is featured in your brain, the more you are likely to manifest as apologetic or an imposter. I admire your humility in wanting to learn from your reports. We give this advice to every manager, irrespective of any age dynamics at play. Good managers routinely ask their people for feedback, routinely learn from those people. It’s generally more a function of the fact that those folks are “closer to the facts” than that they have more experience, but the outcome is the same. 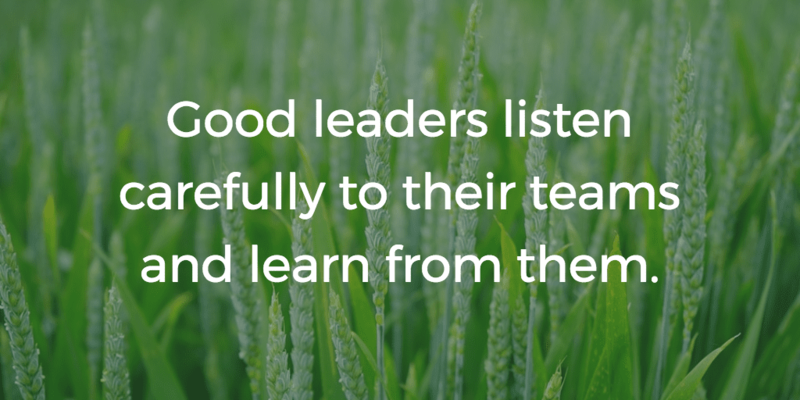 Good leaders listen carefully to their teams and learn from them. Well done. The ages of your direct reports have no bearing on whether they are achieving results. 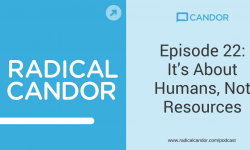 If you focus your conversations on the objectives and key results of your company and the objectives and key results of your Director of Ops and Production Manager, you’ll see exactly how quickly your age becomes irrelevant. Having a direct report as an investor is tricky. However, I’m just going to guess that he/she doesn’t own a huge portion of the equity and is not on the board, in which case, he/she is a shareholder just like any other employee. In managing the day-to-day operations of the business, the position of your Director of Ops as an investor has no bearing on your expectations of him/her and the results he/she is expected to attain. So, to summarize the advice here… As much as possible, stop thinking about the fact that these direct reports are older or more experienced than you are. Instead, focus on communicating clear expectations for results, evaluating those results, and creating accountability for the results. This is what really matters, and it will hopefully help relieve the tension you feel.